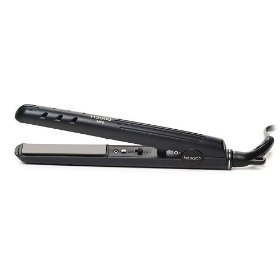 The Hairart Mini Flat Iron straightens or creates waves on long or short hair. Also, it locks in color and promotes natural moisture, eliminating static electricity. It prevents split ends and frizz by sealing the cuticle. This mini flat iron is convenient for travel or a quick fix.